There’s no doubt about it – smaller dogs seem to be more popular as pets than ever before nowadays. Apart from the fact that they are seen in some circles as a fashion accessory – actresses, WAGs and socialites seem to carry a trembling Chihuahua in their Chanel handbags wherever they go – lots of people realise that looking after a smaller dog has several advantages. For a start, there’s the cost. Smaller breeds such as Lhasas or Miniature Schnauzers don’t have the appetite of larger ones, and this translates to a lower weekly food bill. Grooming can be much less of a chore and, again, money can be saved in grooming fees. There’s also the question of space: with a modestly-sized pet, you don’t need a huge house or garden for it to feel comfortable. Smaller dogs usually require less exercise than larger breeds, and a lot of this can be met by playing in the house or garden. The dog crowned Britain’s Ugliest Dog in 2005 was subjected to a cruel attack by a gang of vicious young thugs. 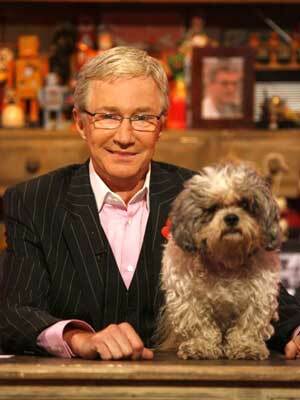 Wanted for dog cruelty: have you seen this man? Three Shih Tzu dogs were found wondering the streets in North Wales this month, with badly matted coats and in need of care. 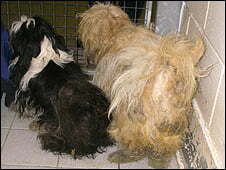 Two of the Shih Tzus, one female and one male, were found in a derelict building in the North Wales town of Conwy. A third Shih Tzu, another female, was found on the street the same week. According to Inspector Kevin Paton the dogs were in such a bad state that they had to be shaved. Their hair was so matted that they were in discomfort. I am hoping the public will be able to tell me where these dogs came from.